With the cold snap of the past week, I found myself thinking about warmer climes. Hawai’i is usually at the top of the list for me and I pulled this 2012 image out of my library as a nice reminder of one of our favourite places in Kaua’i. This photo is from the top of the Koke’e State Park near the Kalalau Valley overlook. The tree is silhouetted against the clouds rising up from the coast far below this mountain ridge just before sunset. This entry was posted on November 15, 2014 by Christopher Martin. 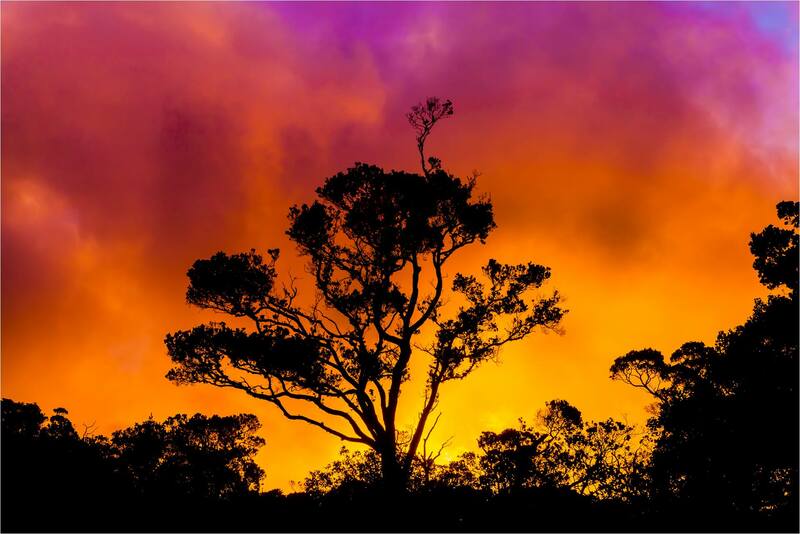 It was filed under Hawaii, Landscapes, Sunset and was tagged with clouds, colorful, Hawaii, Kauai, landscape, nature, silhouette, sunset, tree. So colourful, thank you for the welcome respite.